Thanks to everyone for another fantastic year of FontStructing. To funk_king for Ornaments – a wonderful collection of festive baubles. and to jirinvk for jaubolAC24 for an idiosyncratic A that’s also both a christmas tree and a wrapped present. FontStruct would like to thank our sponsor: Creative Fabrica – your number #1 source for premium design elements. Happy Xmas and best wishes to 2018! FontStruct is a must-have for any pixel artist. Hope you had a wonderful time so far this December, I’ll be back in a day or two :) for Sylvestre and New Year celebrations with you all. 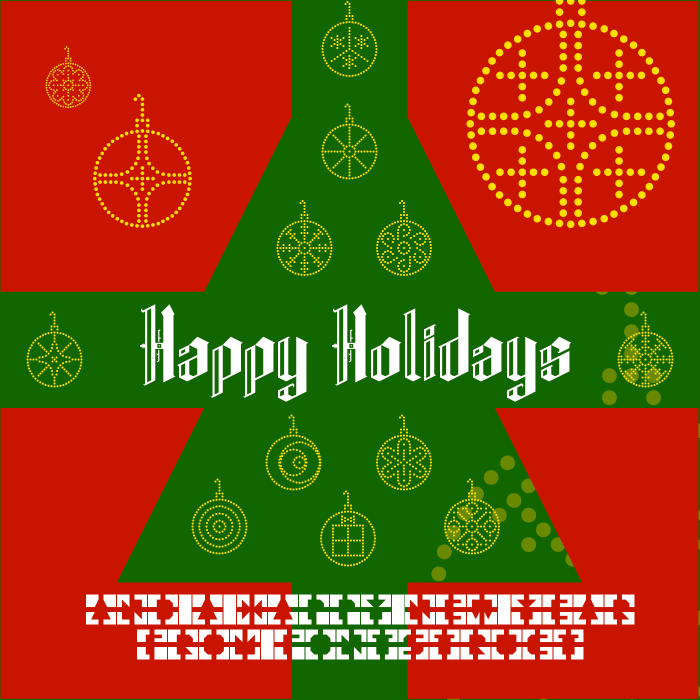 Merry Xmas & Happy New Year for all you in FontStruct! BTW: Great sample this year, mr. Meek!